Hey there, how's it going everyone? As you probably read on our first blog post, Synonymous began as a luxury online shop for baby & child and although we talk all things design on this blog, we truly do love baby fashion just as much as we love interior design. We thought to give back by running a giveaway here on our blog, the Synonymous Baby Instagram and the Synonymous Instagram so that more of you can experience and feel our selections first hand. Now Synonymous Baby, the selections in our online shop are seriously breathtakingly gorgeous. We were very keen on offering baby items that were timeless, useful and incredibly durable. We love all of our classic baby selections, specially one of the utmost essentials for babies, our Pima Cotton bodies and rompers. We're giving away a single Pima Cotton item of your choice to 6 lucky winners. Upon winning, let us know which item and size you would like (we recommend you size up if your baby is on the bigger side) and we'll ship it directly to you :) View below the available giveaway prices. 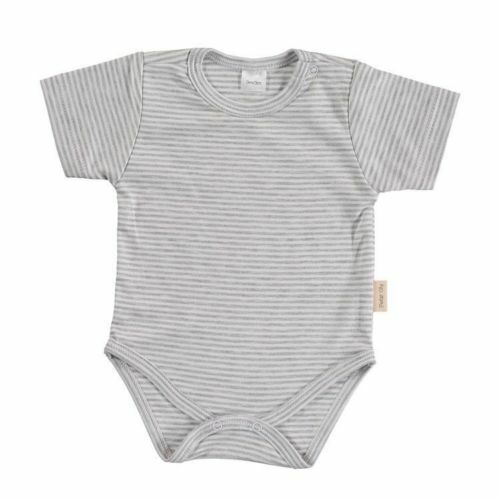 Our selections came directly from Barcelona Spain for Synonymous and we couldn't be more pleasured with the quality and durability of these Pima Cotton baby essentials. We always recommend babies wear an undergarment that keeps them nice and cozy, protecting their delicate skin. Baby bodies are so ideal for this purpose, which is why every parent seems to have a whole drawer dedicated to them, alone. Giveaway only open to the U.S. Winners will be chosen at random with the help of our Rafflecopter so make sure when you enter here on the blog you use your FULL NAME so that we may corroborate your entries on Instagram. We'll announce the winners here on the blog next Friday August 25, 2017 as well as on both Instagram accounts. Winners MUST contact us preferably right away or within 24 hours to secure their gift. After 24 hours we'll choose someone else at random. Contact us through Instagram or through our website's Contact Page . Thank you so much in advance for entering and the best of luck to everyone! Expect a gorgeous gift in your mail within the next few days after Friday August 25th as we'll strive to package everything right away.